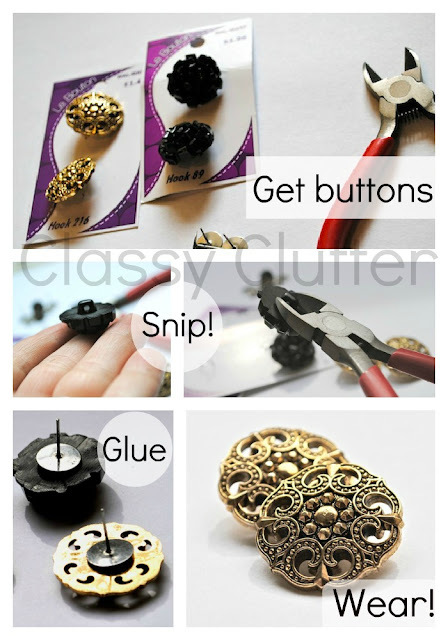 DIY earrings out of buttons! I just got back into town after a week long trip to Arizona to visit my dad in the hospital and be there with him on Father’s Day. That being said, I’m trying to recover from jet lag, unpack and get my house in order. I posted this tutorial when I very first started blogging so I wanted to re-share it since it’s been a few years and quite frankly, I think its awesome! wire cutters or shank removers – I used wire cutters since I already had them. First, I found some cute buttons that I liked. I found these at Wal-Mart of all places. A whopping $1.50-$1.88! Score! Then, it was so simple, I took my button and removed the shank (the loop on the back) with my wire cutters. Next, take your hot glue and earring posts and glue them on the back! Let the hot glue cool for a few minutes and VOILA! THAT’S IT! I told you, sooo simple! Vintage gold! I wear these ones a LOT! How adorable! I love this idea so much. I definitely want to try this. 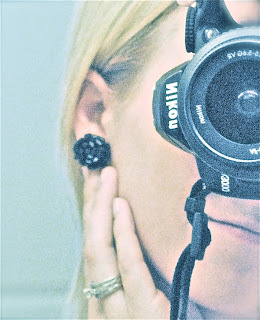 I like making earrings with fabric, but buttons seem awesome. 🙂 Thanks so much for sharing! What a cute way to make something so unique and fashionable!